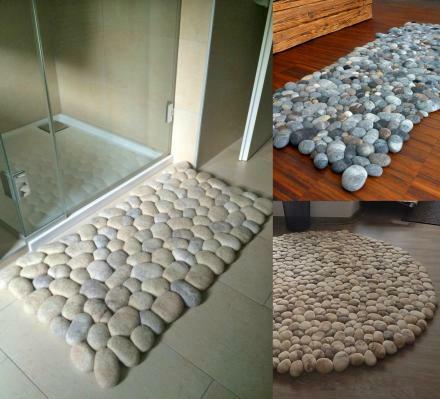 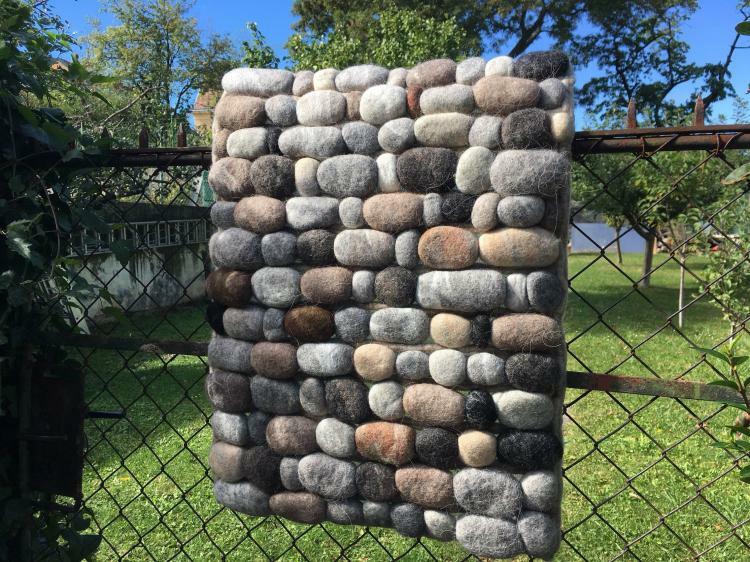 If you're looking to add a bit of nature to your home decor, and love the looks of rocks, pebbles, stones, and such, this incredible wool rug that's made to look like a bunch of connected pebbles might be for you. 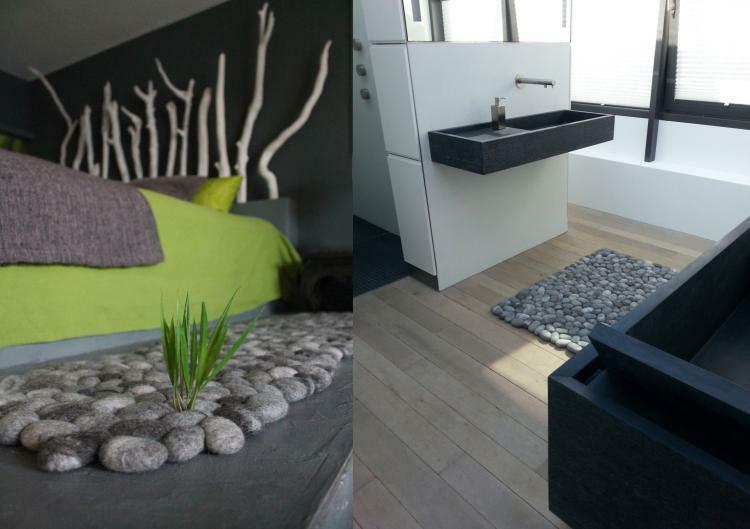 The amazing design of the pebble rug is perfect of right outside the shower or tub, in the kitchen, or right next to your bed so that it's the first thing you step on for the day. 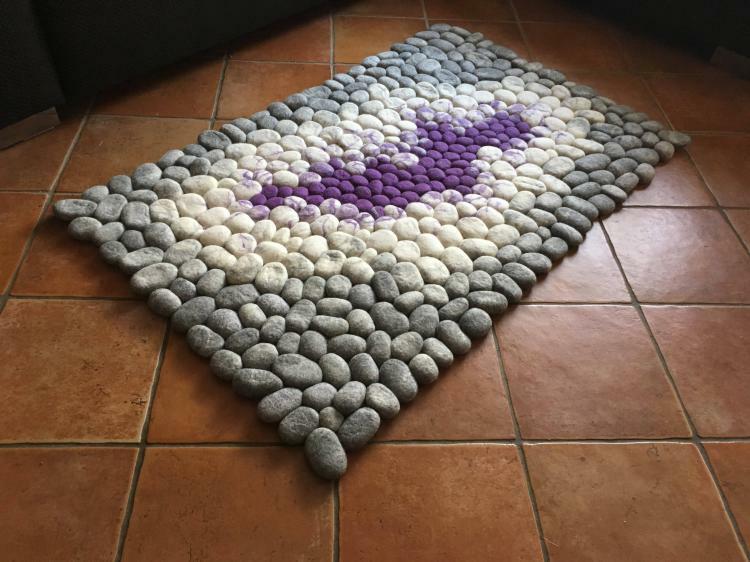 Created by Etsy store Fluss Design, the unique pebble rugs come in a variety of different sizes, colors, and designs to choose from, including bath mats, long hallway rugs, pillows, and more. 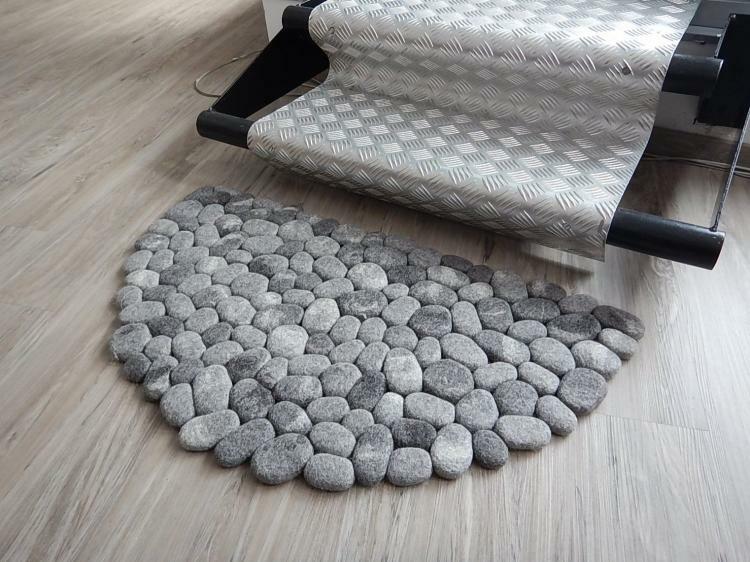 Some of the stone rugs come in patterns such as floral, green moss, autumn colors, cherry blossom, and more. 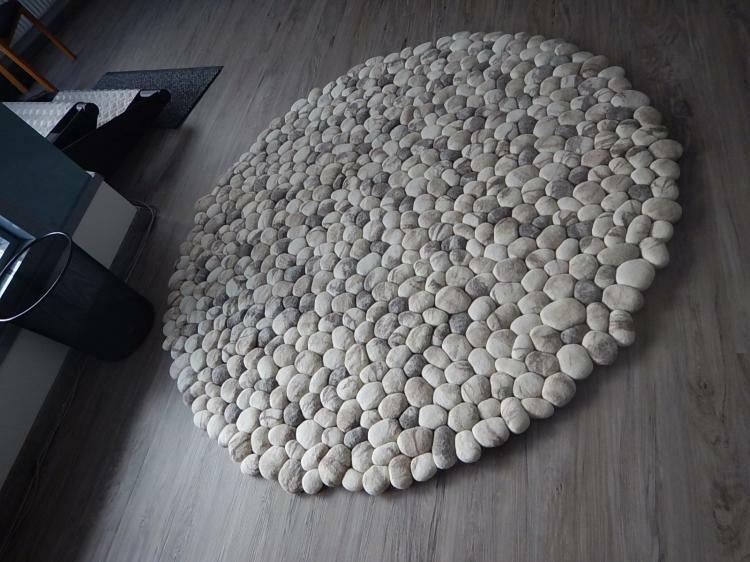 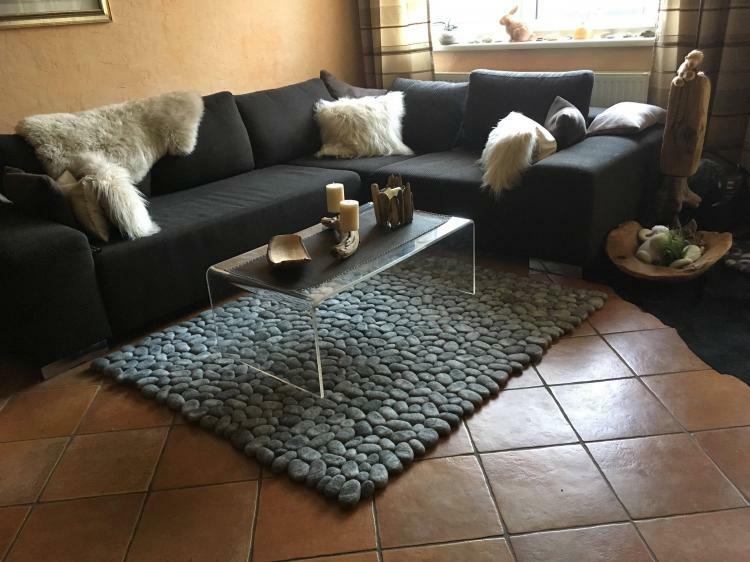 The unique pebble shaped rugs are all handmade using a mixture of alpaca wool and foam, with each rug having its own unique design that'll offer a unique piece of decor anywhere you place it. 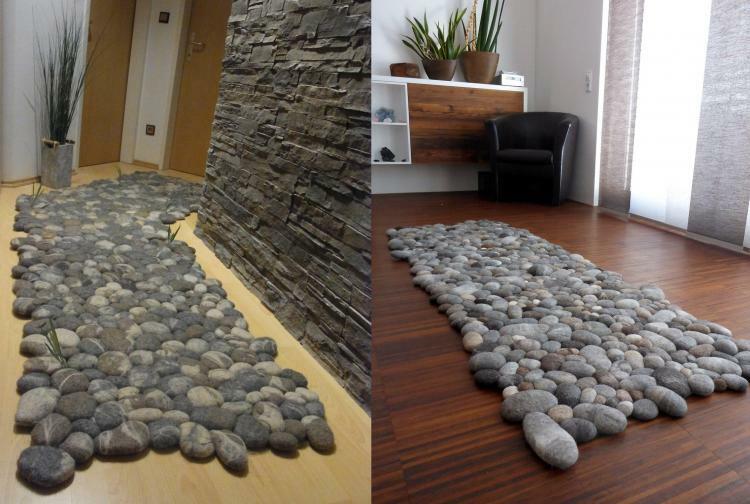 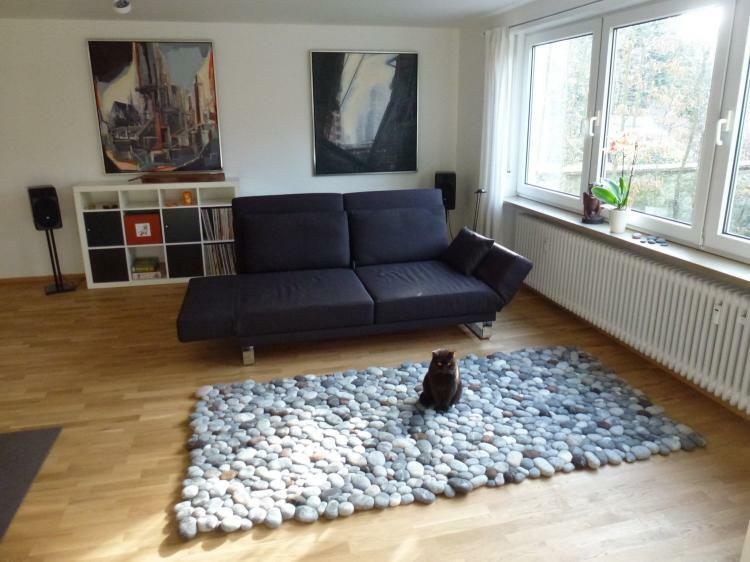 Plus the stone rugs are super stimulation to your feet when you step on it. 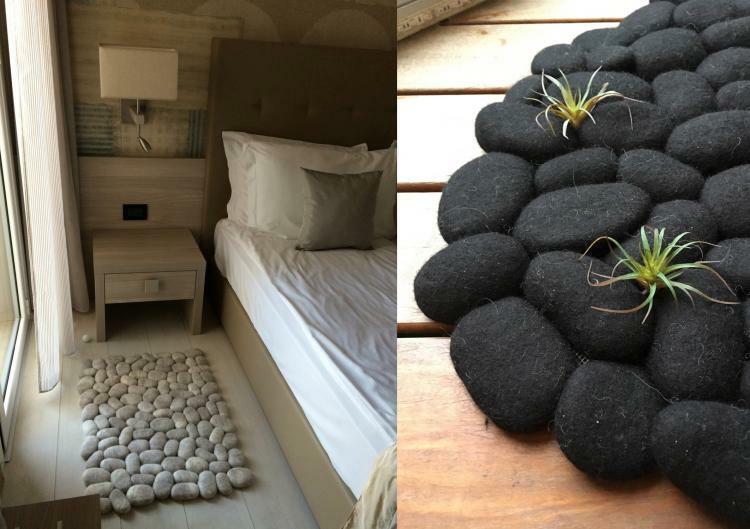 The rugs will make you feel like you're in the middle of nature right by a mountain river. 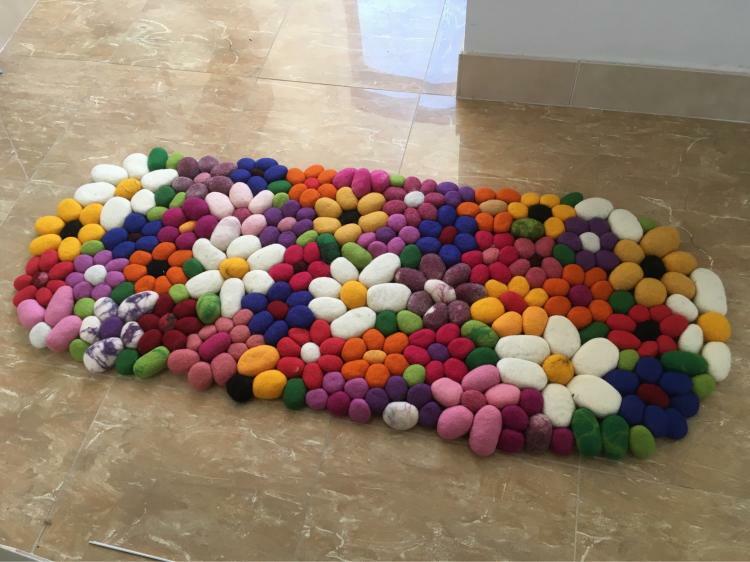 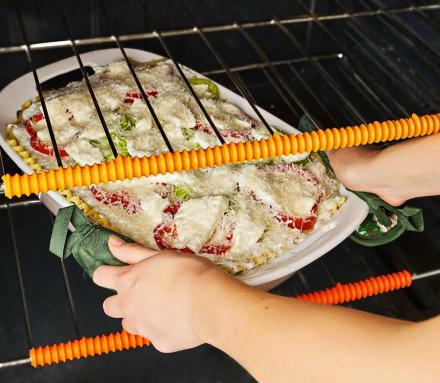 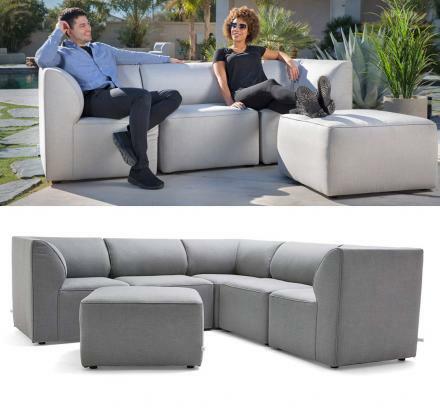 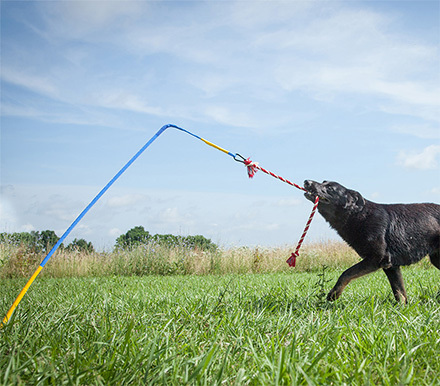 Each rug will vary in size depending on which one you choose, but will range in size anywhere between just 1.6 feet long to a massive 8.2 feet long or a large circular rug that measures 4.9 feet in diameter.